What's cuter than giving grandparents a handmade gift for Christmas that can be a memento for years to come? 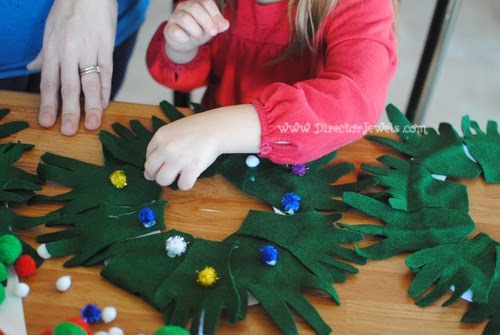 Two years ago, we made a Mistletoes painting for all of Lincoln and Addie's grandmas and grandpas, so last year we wanted to follow up with something equally cute - and what we came up with was this DIY Christmas Felt Handprint Wreath. We turned it into a multi-family event so that we had two moms working on this project. It ended up being a little time consuming, but easier than we feared! 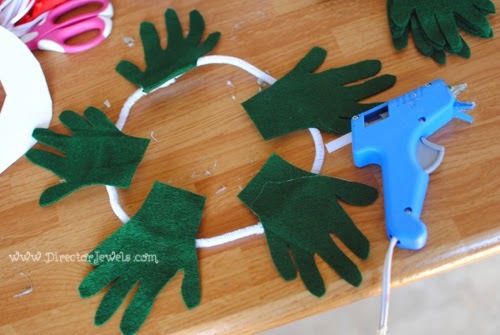 Step 1: Trace your child's hand on the paper and cut it out, then cut out felt hands. We decided that 10 handprints was a good number, so we used 5 from each kid. 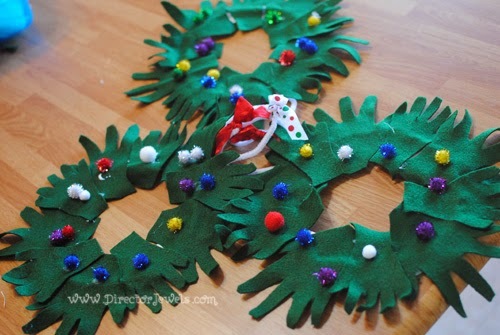 Step 2: Make a Circle Out of Two Pipe Cleaners, then Attach Hands to the Wreath. I tried using Tacky Glue and it didn't stick quickly enough for my liking - so I switched to my glue gun. 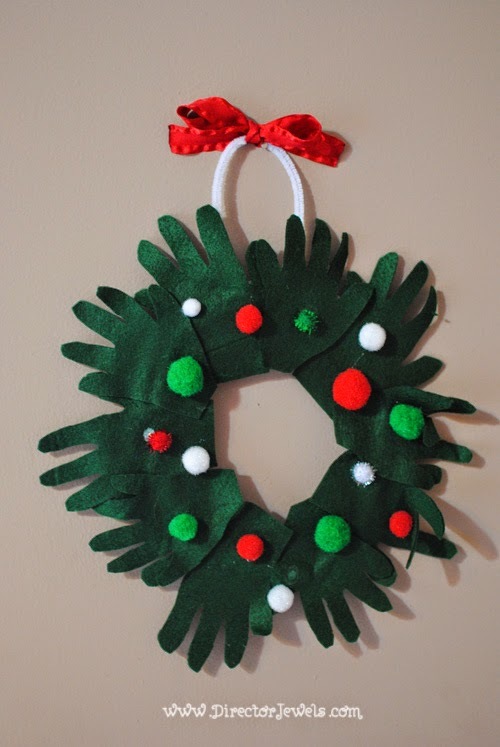 I alternated the kids hands so that it looked even all the way around the wreath. 3. 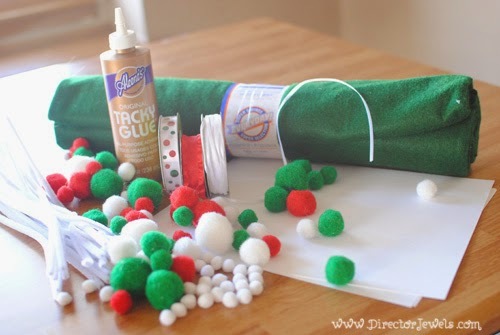 Decorate! 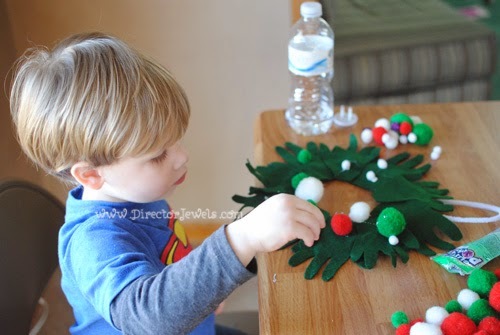 We let the kids do most of this and they had a great time sticking pom-poms on the dots of glue we made for them. Step 4: Add a Pipe Cleaner Hanging Handle and Some Finishing Touches. 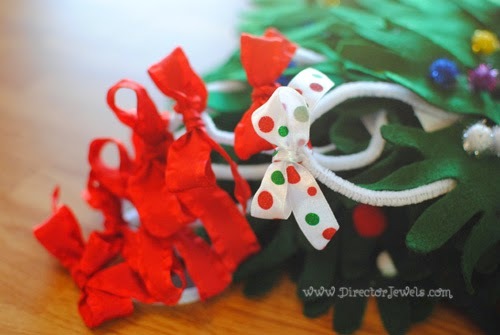 I tied ribbon bows at the top of each wreath, and added a cardstock circle (with hot glue) over the pipe cleaners on the back of the wreath to give it a little bit more structure. Step 5: Gift and Enjoy! These were a huge hit with all of our grandparents! 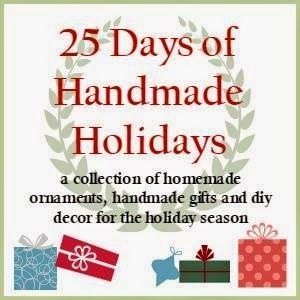 This post is part of the 25 Days of Handmade Holidays! 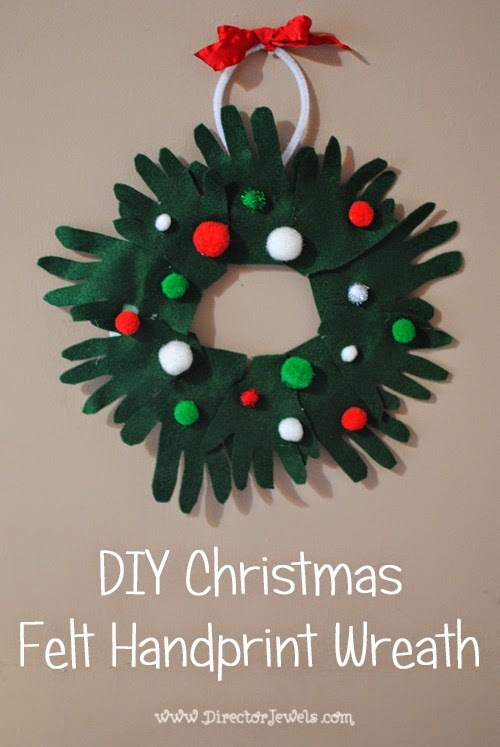 Check out all the other blogs below for more holiday DIY inspiration! OMG! I love this project!!! 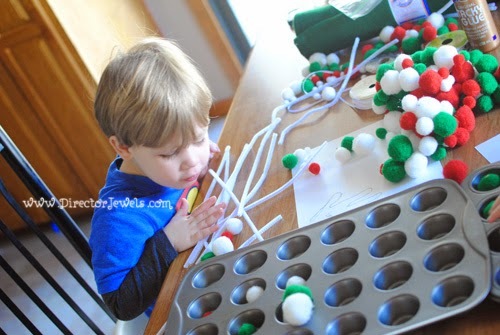 I know what the kids and i will be making next week since they are off school all week. Awesome! Hope you had fun!